For competition riders and handlers, winning is usually all about performance, but a gleaming coat will always help to catch the judge’s eye. Here are a few tips to help you bring out the best in your horse’s coat. The skin is the body’s largest organ and acts as a natural barrier. It is made up several layers of cells with different functions. These contain specific structural lipids and proteins designed to protect the horse and regulate other aspects such as skin hydration. Additional secretory cells produce natural oils to keep the skin soft, moist and pliable. 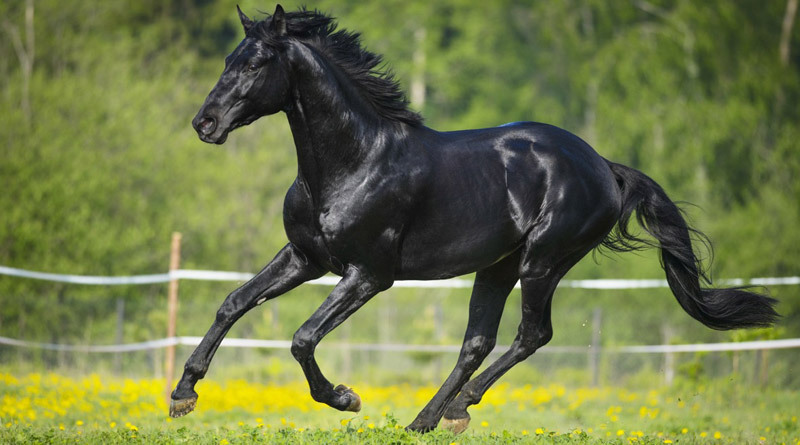 Externally, the horse’s hair shields the skin from UV light, weather and traps air to provide warmth. A healthy skin and coat can help reduce allergen penetration and potentially ease inflammation in conditions such as sweet itch. It can also ward off microbial attachment and invasion, which is turn may reduce occurrence of bacterial and fungal skin infections such as mud fever. The stress of a high workload coupled with management practices such as clipping, sweating, brushing and daily washing off can diminish the skin’s natural protective properties and enhance the need for extra care. Caring properly for the skin and coat is no less important than looking after joints and feet, where the use of supplements is well established. Don’t skimp on grooming and provide regular healthy exercise. Provide a suitable diet as a foundation and for ongoing support. Keep your horse well hydrated. Redress the balance for hard-working horses by using a tailored skin supplement, which will enable the horse to adapt better to its environment. o Flax oil (also known as Linseed) contains high levels of Omega-3 alpha linoleic acid (ALA), to help improve moisture retention and skin condition. o Starflower oil (also known as Borage) contains a source of Omega-6 gamma linoleic acid (GLA) to support the body’s natural inflammatory process. o Pure salmon oil contains omega 3 fatty acids, to help reduce scaling and scurf. Article courtesy of Lintbells Equine, makers of Yumega Horse Skin and Coat supplement. My sister has recently gone out of town and I was put in charge of taking care of her horses, I realized that she’s been giving her horse a few supplements and I had no idea horses even needed supplements. I really liked your mention that making sure the skin is soft and protected is very important and that it could reduce how many allergens affect the horse. If I were in a position where I owned a horse I would definitely want to make sure it had supplements that would keep its skin healthy.